Udukki: After the land scam, another controversy has erupted in the Syro-Malabar Church. This time around, the ruckus is over the historical validity of the claim that St. Thomas the apostle had visited Kerala. Three days ago, Bishop Geevarghese Mor Coorilos of the Niranam diocese of the Jacobite Syrian Church said St. Thomas hadn’t visited the state and did not convert upper caste Hindus to Christianity. 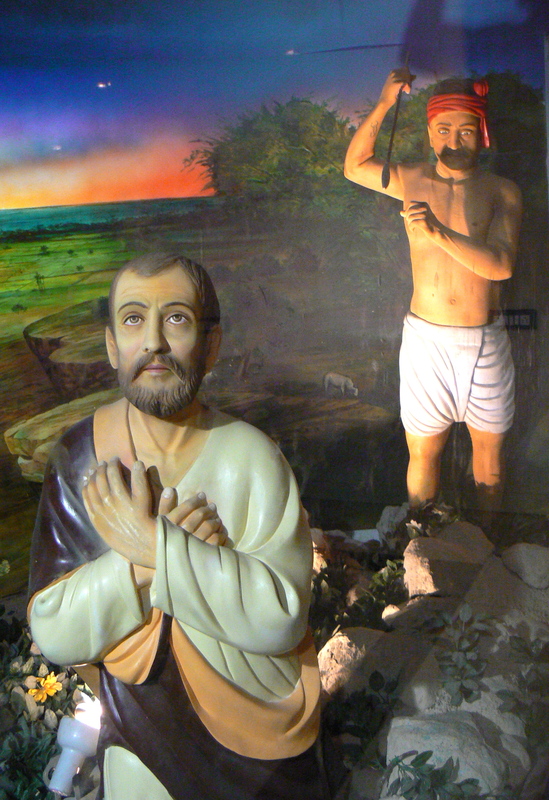 Syrian Christians in Kerala believe that St. Thomas had visited Kerala and converted the upper caste Namboodiris to Christianity. They believe St. Thomas had also built eight churches (also known as 7.5 churches) in various parts of Kerala. The Syrian Christians are also known as St. Thomas Christians. “Even the Pope has made it clear that St. Thomas had not visited Kerala. But a certain section among Kerala Christians have been nursing a certain caste bias claiming to be descendants of upper caste Hindus who were converted to Christianity,” said Fr. Thelakkat. In fact, Syrian Christians in Changanacherry, Pala and Kanjirappally claim that they belong to upper caste Hindu families converted by St. Thomas. Most of the families in these areas reportedly claim they hail from “Athi Puratana Katholika Kudumbam”. However, Kerala Catholic Bishops Council (KCBC) doesn’t seemed to be amused over the controversy. 1. There is a record of Namboodiri Brahmins in Kerala in the middle of the fourth century CE, when the practice of the Vedic Shrauta traditions were revived. The sixth or seventh century dates for their appearance is a politically-coloured Marxist conjecture. But it is true that there is no record of Namboodiris in Kerala in the first three and a half centuries CE (as there is none for Christians). This entry was posted in archaeology, christian mythology, st. thomas, syrian christians and tagged christian myth, indian history, jacobite syrian orthodox church, st. thomas, syro-malabar catholic church. Bookmark the permalink.